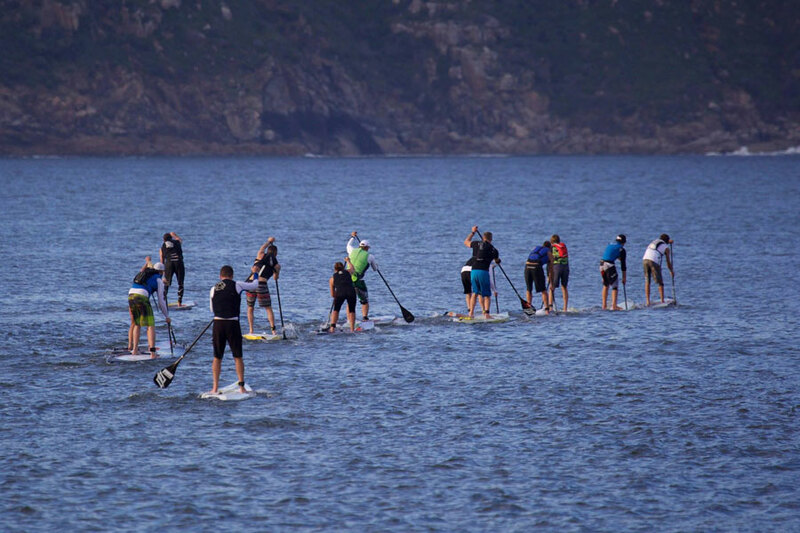 Boss Man’s note: South Africa is one of the most under rated hot-spots for SUP racing and right now SUPSA (the national governing body) is right in the middle of a five-race, nation-wide tour. 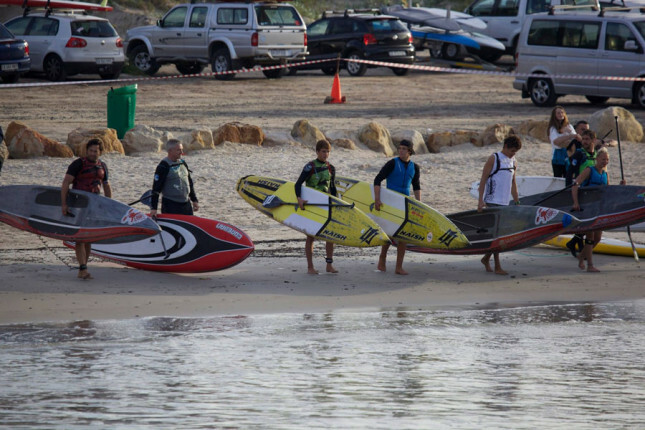 Below are the results of stop #3, where young gun Dylan Frick won his second race in as many weeks, plus a recap thanks to our South Africa correspondent Peter Petersen from SUP Culture. Mariners Wharf in Hout Bay hosted, and sponsored, the 3rd stop on the South African Race Tour. A 10km triangle course out and around the bay tested the paddlers as it served up pure flat to decent backwash/ choppy conditions. 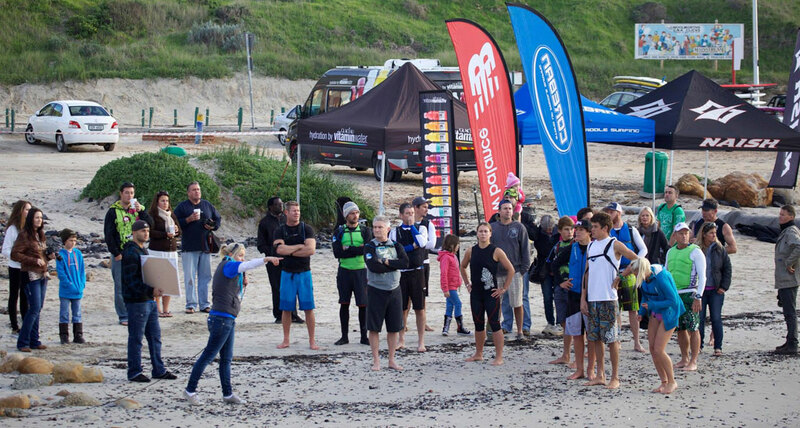 Conditions were perfect with no wind albeit a mere 10deg celsius just before the start. Dylan Frick was firm pre-race favourite and he set the pace throughout. Surprise package was 16yo Ethan Koopmans who nearly matched Dylan stroke for stroke. In the end Dylan got a gap around the last can and sprinted in 20 secs ahead. 3rd place was hotly contested with a sprint to the line which Francois Frick took just ahead of Andrew Cillie. Brigette van Aswegen was polishing off her form with a fine win before going to Maui next week and doing the World Cup of SUP, Maui Paddleboard Champs and the Molokai2Oahu races. 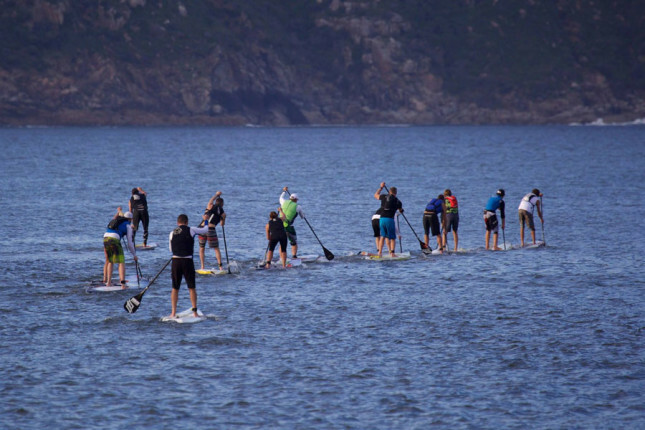 A combined 115km of downwinding will be a welcome respite from the flatwater racing! 15yo Mishka Steyn was less than a minute behind and is gaining speed every race she enters. 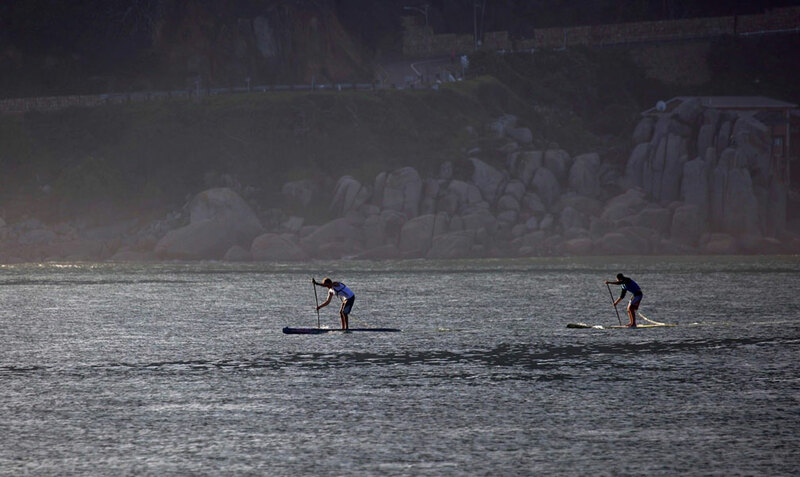 Hout Bay also had a 3.5km and 1km fun races and in total more than 60 paddlers took to the water. Combined ranking leader Anton Nel from Johannesburg retains the overall championship lead before next race triggers a discard which will come handy for Dylan Frick. In total 55 paddlers are SUPSA ranked after 3 events.